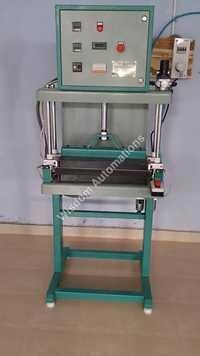 Wisdom Automations gives an automated solution for parathas- flatbread which means layers of cooked dough. 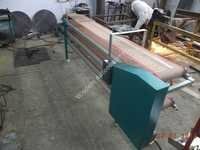 In the paratha making machine category, it provides semi automatic half cooked paratha making machine, paratha pressing machine and paratha cooling conveyor for food processing industry. Considering the lifestyle of people today in India, the food companies are coming up with semi cooked food, that is easy and faster to cook. One just have to add few drops of oil or little amount of butter on a pan and cook these half cooked parathas. Unlike chapati (pain flat bread), parathas are stuffed. The stuffing can be mashed and spiced potatoes, lentils, paneer, cauliflower, or any leaf vegetable. Buying a set of paratha making machine is one time investment for making oil free, hygienic semi cooked parathas in large numbers for years to come. 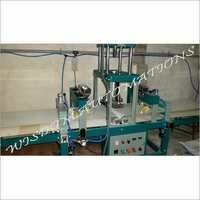 For detailed specification and price of paratha making machine, contact us anytime.